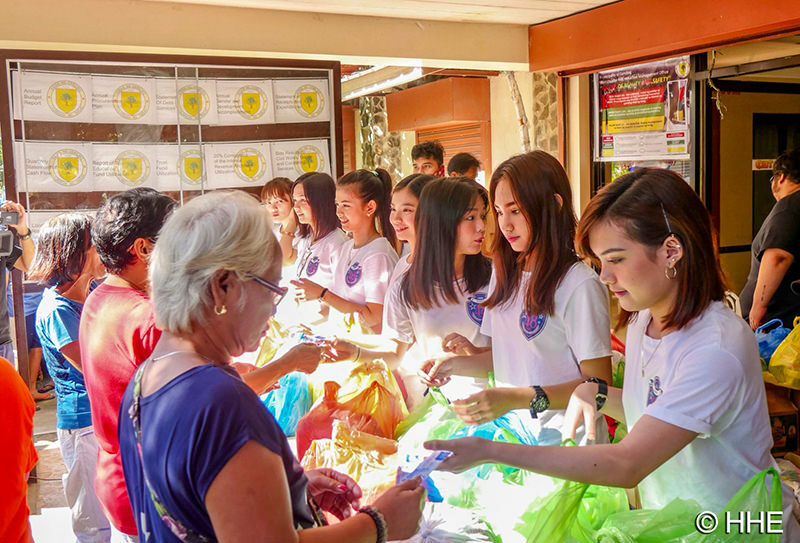 Last September 23, 2018, Hallo Hallo Alliance together with MNL48 members Belle, Jan, Kay, Brei, Lei, Coleen, and Rans visited the victims of Typhoon Ompong at Camiling Sports Complex in Tarlac to hand relief goods as part of the company’s corporate social responsibility. 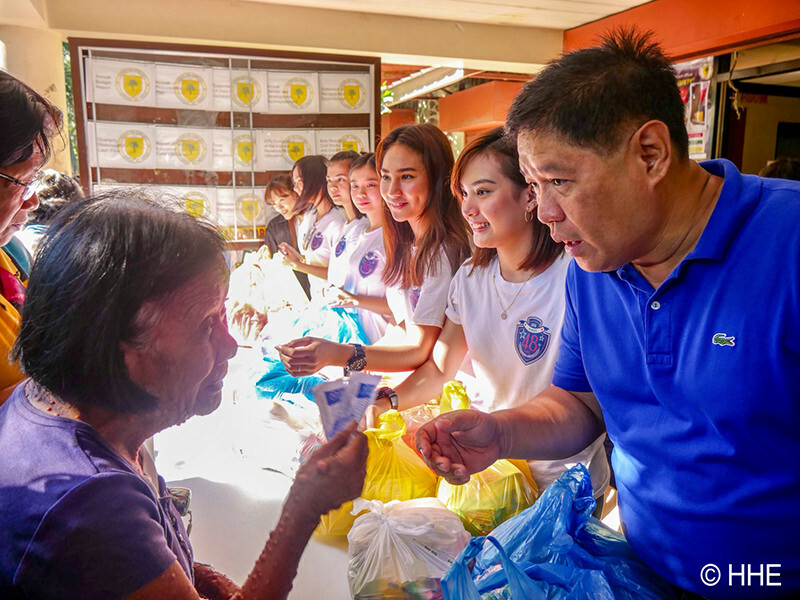 With the assistance of Municipality of Camiling Mayor Erlon Clemente Agustin, MNL48 members and Hallo Hallo Alliance staff personally distributed donations from the employees and relief goods they packed for the residents as a way of helping the victims survive while recovering from the calamity. “Parang ito nalang ‘yung way para makapag give back kami sa mga blessings na natatanggap namin. Sobrang maswerte kami na hindi kami nakakaranas ng ganito,” Lei added. Rikka Kiriena La Morena Andres who has been working as the Municipal Social Welfare Development Officer in Camiling for over three years described the people in their town as resilient. “During the calamity, makikita mo kung pano ‘yung paghihirap nila kasi ang taas ng water level dito sa amin kahit flash flood lang, kaya lang ‘yung biglaang dating ng tubig. Naka-evacuate sila agad sa mga designated areas namin,” she recalled. An 85-year-old woman, from Poblacion D in Tarlac, Arsenia Domingo who also lined up to get some relief goods, narrated how the flash flood caused by the Typhoon destroyed their home and reached up to thesecond floor. Although they wanted to relocate to a safer place, they don’t have the financial capacity. 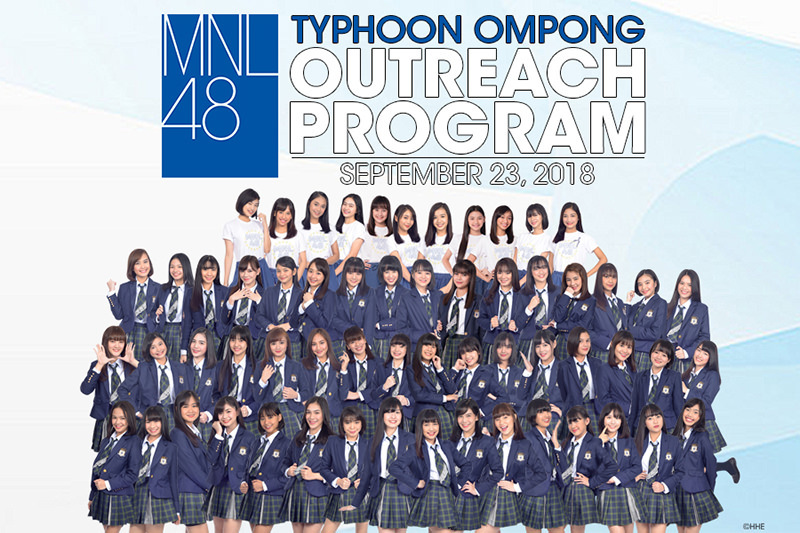 “Nagtitiis na lang talaga kami, kaya maganda na pumunta ang Hallo Hallo Alliance at MNL48 kasi sobrang laking tulong ‘to sa amin, nabigayn nila ng ngiti ang bawat isa sa amin, nagkaroon kami ng bagong pagasa na may mabubuting loob na tumutulong para makaahon kami,” she concluded. 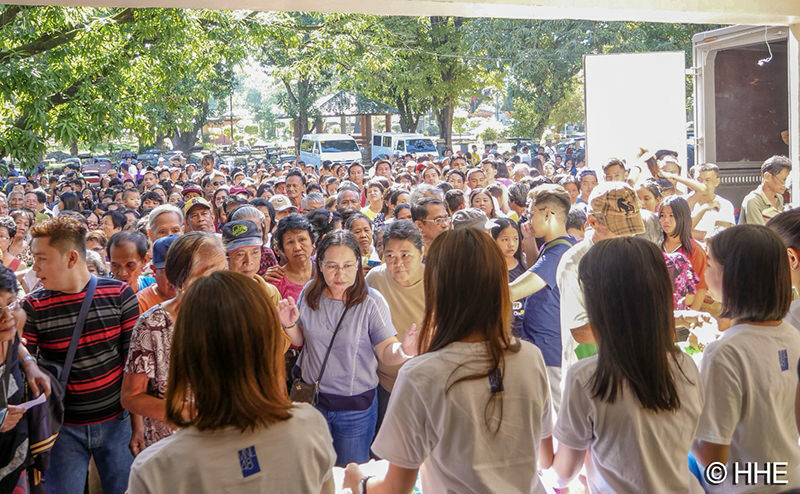 As soon as Hallo Hallo Alliance knew about the disaster, the company with the help of its employees reached out to the municipalities which are badly hit by the typhoon to send help. The company has chosen the community of Tarlac to be the beneficiary of the relief goods and donations gathered from the employees.